DePEYSTER, ARENT SCHUYLER, army officer; b. 27 June 1736 in New York City, son of Pierre Guillaume DePeyster and Cornelia (Catherine?) Schuyler; cousin of Abraham De Peyster*; d. 26 Nov. 1822 near Dumfries, Scotland. The second son of a prominent New York family, Arent Schuyler DePeyster was connected with the colonial aristocracy through both his father and his mother. At the age of 15 he sailed for London to further his education. Military life soon attracted him and on 13 April 1755 he obtained an ensign’s commission in Major-General William Shirley’s 50th Foot. On 10 June he was appointed lieutenant in Sir William Pepperrell*’s 51st Foot. During the Seven Years’ War young DePeyster served with his uncle Colonel Peter Schuyler* of New Jersey on the northern frontier of the colonies. 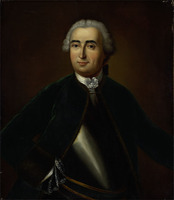 He was probably caught up in the capitulation of Oswego (N.Y.) on 14 Aug. 1756 [see Louis-Joseph de Montcalm*], taken to France as a prisoner of war, and exchanged some time in 1757, as were the other officers of the 51st. In England, DePeyster transferred to the 8th Foot on 21 Sept. 1757 and he accompanied his regiment to Germany in 1760. After the war the 8th was stationed in Scotland, where DePeyster met and married Rebecca Blair, daughter of Robert Blair, later provost of Dumfries. They had a happy but childless marriage and were seldom separated. On 19 Sept. 1767 DePeyster was present at the funeral in New York City of his uncle Abraham DePeyster, treasurer of the province of New York. On 16 May 1768 the 8th embarked from England for the province of Quebec. 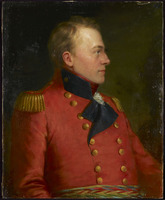 It was stationed in Montreal, where in October Captain-Lieutenant DePeyster (appointed 15 July 1767) served as a member of the court martial that tried Major Robert Rogers*. On 23 November DePeyster was promoted captain. His activities during the next six years of his life are not clear. He is known to have been on leave between September 1769 and the summer of 1770, was recruiting in Albany, N.Y., in May 1771, and on 1 June 1772 served as president of a court martial at Quebec, where he apparently spent most of his time. Early in 1774, when the 8th was sent to replace the 10th Foot at the western garrisons, DePeyster, was appointed commandant of Michilimackinac (Mackinaw City, Mich.). On 4 May the DePeysters left Quebec, arriving at Michilimackinac on 10 July. For the next five years this small, stockaded, fur-trading community at the juncture of lakes Huron and Michigan was their home. Soon after his arrival, DePeyster held a council with chiefs Nissowaquet* and Madjeckewiss*. Indian affairs dominated his stay in the west, and he had a remarkable ability to establish trust and rapport with a multitude of tribesmen. In the spring of 1775, with the help of intermediaries such as the trader Peter Pond*, he was able to hold a grand council at Michilimackinac which established a truce between the hereditary enemies the Sioux and Ojibwas. When the American revolution broke out it was imperative that the British retain the allegiance of the Indians of the Upper Lakes, who greatly outnumbered the British soldiers there. 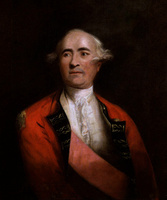 Working with the assistance of his interpreter, Joseph-Louis Ainsse*, and a former French officer, Charles-Michel Mouet* de Langlade, DePeyster was able to rally Indian war parties: in 1776 to assist in the recapture of Montreal, and in 1777 to join John Burgoyne*’s thrust into New York. As a reward for his achievements DePeyster was appointed major of the 8th on 6 May 1777. The following year the American lieutenant-colonel George Rogers Clark put British authority in the west in serious jeopardy. 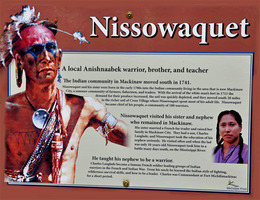 During the summer of 1778 he swiftly captured Kaskaskia (Ill.), Cahokia (Ill.), and Vincennes (Ind.) in the Illinois country. Lieutenant Governor Henry Hamilton* of Detroit retook Vincennes in December 1778, but was himself captured by Clark on 25 Feb. 1779. DePeyster feared an American attack on Detroit, and subsequently one on Michilimackinac by way of Lake Michigan. In an effort to secure intelligence of American plans he purchased from his good friend John Askin* the sloop Welcome, which he sent up the lake. He also dispatched 20 soldiers and 200 Indians under Lieutenant Thomas Bennett to rally the Indians at Fort St Joseph (Niles, Mich.). A major council was held on 4 July in the Ottawa town of L’Arbre Croche (Cross Village, Mich.), and two days later DePeyster welcomed the prestigious Sioux chief Wahpasha (either Wahpasha* or his son) to Michilimackinac. Thanks to the truce of 1775, he was able to secure the temporary cooperation of the Sioux and Ojibwas in defending Michilimackinac. Despite his accomplishments, DePeyster had been asking for a transfer from Michilimackinac, and when he received word that he was to be sent to Detroit he was delighted. The local merchants wished him well and commissioned an elegant silver punch-bowl as a token of appreciation. On 4 Oct. 1779 Lieutenant Governor Patrick Sinclair* arrived to take charge of the straits. Less than two weeks later the DePeysters departed aboard the Welcome for Detroit, where he assumed command on 1 November. DePeyster was immediately plunged into negotiations with the Indians. Although it was necessary to use Indian war parties to attack the American settlers in what is now Kentucky and to block American thrusts at Detroit, he repeatedly warned the warriors to avoid cruelty to prisoners. DePeyster himself treated humanely the wretched captives brought to Detroit and made many efforts to ransom prisoners held by the Indians. As the war dragged on, DePeyster had many captives to worry about. In April 1780 he sent Captain Henry Bird and Captain Alexander McKee* to attack the Kentucky settlements; other parties took the war-path towards Vincennes and Fort Pitt (Pittsburgh, Pa). 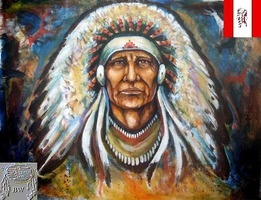 More than 2,000 Indians were organized and they brought in nearly 400 prisoners by the end of the summer. These successes notwithstanding, DePeyster, knowing his defences were in a deplorable state, was worried by persistent rumours of an American attack. The rumours proved true. In November a force under Colonel Augustin Mottin de La Balme from Cahokia advanced on Detroit, but warriors led by Michikinakoua* destroyed it near the Miamis Towns (Fort Wayne, Ind.). A wing of La Balme’s expedition captured Fort St Joseph in December, and in February 1781 another group sacked the fort again. Only the Indian allies stood between Detroit and the growing American presence in the Kentucky settlements. To keep them loyal demanded not only consummate tact but also costly presents. 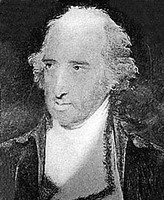 General Frederick Haldimand*, DePeyster’s superior, bemoaned the flood of bills, but he trusted DePeyster’s judgement that the expenditures were necessary. During 1781 Indian war parties continued to cross the Ohio River to raid into Kentucky. They brought back rumours that a band of Moravian Christian Delawares living in villages on the Muskingum (Tuscarawas) River (Ohio) were informing the Americans of the raiders’ intentions. DePeyster had a number of the band’s Moravian missionaries and some of the Indians brought to Detroit in October for interrogation. Satisfied that they were not hostile, he let them go, but invited them to settle near Detroit. In March 1782 many of the Delawares were massacred by vengeful Americans at Gnadenhutten (Ohio) [see Glikhikan*]. Only a remnant under David Zeisberger* was left to settle north of Detroit at New Gnadenhutten (Mount Clemens, Mich.). The vicious attack roused the Ohio valley Indians and when an American force under Colonel William Crawford probed into what is now Ohio in June 1782, it was cut off and Crawford was tortured to death. DePeyster was appalled, but attributed the barbarity to the Indians’ anger over the attack on the Delawares. By this time the war was winding down, and DePeyster was instructed by Haldimand to adopt a defensive posture. But sometimes a good offence is the best defence, and Captain William Caldwell achieved a stunning victory over the cream of the Kentucky militia at the battle of Blue Licks in August 1782. DePeyster was concerned about whether he could stop the frontier war even if peace was declared. As long as the Americans raided across the Ohio River the Indians would never cease resisting. DePeyster encouraged the Indians not to attack, but his supplies had been cut back and he had few presents with which to influence them. Word of peace arrived in Detroit on 6 May 1783 and Lieutenant-Colonel DePeyster (appointed in the army 20 Nov. 1782) immediately recalled the war parties and attempted to ransom all captives. The 492 prisoners held in Detroit were sent to Montreal to be repatriated. Though the peace treaty included Detroit in the new republic, no orders were given to evacuate the town. When the American Indian commissioners visited Detroit in July 1783 they were treated politely, but no commitments were made. In November DePeyster received word that he had been appointed lieutenant-colonel of the 8th on 13 September and that he was being transferred to Fort Niagara (near Youngstown, N.Y.) to take command of the regiment. It was not until 30 May 1784 that he left for Niagara, where he assumed command on 5 June. Although suffering from ill health, during the summer he presided over the reduction of the regular and provincial troops stationed there. One of the four most senior officers in the province of Quebec, DePeyster was growing increasingly anxious to leave the frontier and return to the civilization of Quebec or Europe. While he waited, he listened to rumours of possible American attacks on Oswego and was instructed to fight if necessary to retain possession. Finally, in the summer of 1785, the 8th sailed from Quebec and after only 25 days arrived in England, where DePeyster was given command of the garrison of Plymouth. While he was stationed there Lieutenant Isaac Brock* served under him, and Rebecca had an opportunity to dance with the Prince of Wales. In 1790 the 8th was transferred to Jersey, and in 1793 to Ireland. DePeyster’s appointment as colonel in the army was made on 12 Oct. 1793. The following spring the regiment was sent to Flanders to confront the French but DePeyster, wracked by a violent illness, decided to leave the army. He sold his lieutenant-colonelcy to a connection of the lord lieutenant of Ireland, who ten years later had not yet paid for it. DePeyster retired to Dumfries, Rebecca’s home, where they settled down at Mavis Grove, a pleasant country estate. In 1795, when a French invasion appeared possible, the locals formed a volunteer unit called the Dumfries Volunteers, and DePeyster became its major commandant. One of his men was the poet Robert Burns, who penned “The Dumfries Volunteers” and an “Epistle to Colonel DePeyster.” Sharing an interest in poetry, DePeyster and Burns were kindred spirits. However, their association was short since Burns died in July 1796. During the following years DePeyster enjoyed his retirement, spending his time training the militia, corresponding with old friends, and worrying about the slowness of the government in paying some of his bills from 20 years before. Disturbed by the events of the Napoleonic Wars, he drafted many poems which, together with others from his period in the western posts, he finally published in 1813 under the title Miscellanies, by an officer. His health remained good in his old age, and he loved to play billiards and ride his large horse. When he died on 26 Nov. 1822 he was buried with full military honours in St Michael’s churchyard, only a short distance from the grave of his friend Burns. His lifelong companion, Rebecca, died on 20 Feb. 1827. Arent Schuyler DePeyster is the author of a volume of poetry, Miscellanies, by an officer (Dumfries, Scot., 1813); a second edition, which adds some correspondence and speeches by DePeyster and others, was prepared and published by John Watts DePeyster (2v. in 1, New York, 1888). A photograph of DePeyster’s grave at Dumfries is reproduced in “The Kingsman”; the Journal of the King’s Regiment (Liverpool), no.30 (July 1950): plate following p.6. A collection of his papers, including manuscript poetry and correspondence, also remains at Dumfries in the Ewart Library of the Dumfries and Galloway Regional Library Service. Other archival material relating to him is scattered amongst a variety of repositories in North America and Great Britain; this documentation includes numerous references in the Haldimand papers at the BL and in the Thomas Gage papers at the Clements Library (both detailed below); a letter from DePeyster to Sir John Caldwell, dated 14 Nov. 1785, in the Bagshawe muniments of the John Rylands Univ. Library (Manchester, Eng. ), B3/37/48; a group of Indian artifacts collected by DePeyster and Caldwell in the King’s Regiment coll. at the Merseyside County Museums (Liverpool); a collection of DePeyster family papers in the N.Y. Hist. Soc. (New York); the Durell Saumarez papers, photocopies of which are available at PAC, MG 23, K10; and PRO, AO 1, bundle 376, no.1, and WO 71/26: 371. BL, Add. mss 21763: 236, 291, 312, 316, 320, 344, 357; 21781: 9–18, 74–90, 293, 299, 315, 319, 321, 325, 328, 331, 335, 339, 341, 343, 345, 347–48, 351, 357, 361–63, 368, 370, 373–75, 379, 381–85, 387–89, 391, 395, 399, 404–5, 408, 410, 412, 414, 417–18; 21833: 101, 194, 202, 210. Clements Library, Thomas Gage papers, American ser., 81, Carleton to Gage, 29 Sept. 1768; 82, Gage to Jones, 5 Dec. 1768; 103, Bradstreet to Gage, 12 May 1771; 111, Jones to Gage (enclosure), 4 June 1772; 114, Jones to Gage, 24 Sept. 1772; 121, DePeyster to Gage, 16 June 1774; 123, Gage to DePeyster, 5 Oct. 1774; 128, DePeyster to Gage, 5, 14 May 1775; DePeyster to Maturin, 5 May 1775; 129, Gage to DePeyster, 20 May 1775; 130, DePeyster to Gage, 16 June 1775. Robert Burns, Poetical works . . . , ed. J. L. Robertson (London and New York, 1904; repr. 1950), 212–13. John Askin papers (Quaife), 1: 67, 72, 80, 83–84, 86, 90, 105, 108, 112, 118; 2: 171–74, 382–83, 407–8, 478–79. Mich. Pioneer Coll., 9 (1886); 10 (1886); 11 (1887); 15 (1889); 19 (1891); 20 (1892). Treason? at Michilimackinac: the proceedings of a general court martial held at Montreal in October 1768 for the trial of Major Robert Rogers, ed. D. A. Armour (rev. ed., Mackinac Island, Mich., 1972), 9. Wis., State Hist. Soc., Coll., 1 (1855); 3 (1857); 7 (1876); 8 (1879); 10 (1888); 11 (1888); 12 (1892); 18 (1908); 19 (1910). New-York Gazette, and Weekly Mercury (New York), 2 Aug. 1773. D. A. Armour and K. R. Widder, Michilimackinac: a handbook to the site (Mackinac Island, 1980), 17. J. W. DePeyster, St. Paul’s Church, Red Hook, Duchess County, New York . . . Rose Hill . . . De Peyster family . . . ; by “Anchor” (*J. W. de P.*) (New York, 1881). G.B.,WO, Army list, 1760, 1768–69, 1782–84, 1794. D. A. Armour and K. R. Widder, At the crossroads: Michilimackinac during the American revolution (Mackinac Island, 1978). “An American DePeyster,” Dumfries and Galloway Saturday Standard (Dumfries), 1 Nov. 1902. D. A. Armour, “A white beaver for the colonel,” Mich. Natural Resources (Lansing), 42 (1973), no.4: 11–14. “Colonel Arent de Peister,” “The Kingsman”: the Journal of the King’s Regiment, 3 (1931–33), no.2: 4–5. “Colonel Arent Schuyler DePeyster, the King’s Regiment,” White Horse & Fleur de Lys (Altrincham, Eng. ), 3 (1964): 370. “Colonel DePeyster,” Free Press (Detroit), 4 Nov. 1894. “The three Caldwells,” ed. David Boston, White Horse & Fleur de Lys, 3 (1964): 316–17. David A. Armour, “DePEYSTER, ARENT SCHUYLER,” in Dictionary of Canadian Biography, vol. 6, University of Toronto/Université Laval, 2003–, accessed April 24, 2019, http://www.biographi.ca/en/bio/depeyster_arent_schuyler_6E.html.